Looking to trade in your old car or just want to upgrade to a new Volkswagen model, but are wondering which of the options out there is right for you? Are you trying to decide if leasing will save you money or if financing is the way to go? What are the benefits of leasing a vehicle? 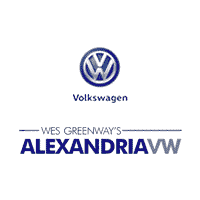 Alexandria Volkswagen is here to help. Explore our guide below and make the decision that’s right for you. What Does it Mean to Lease a Vehicle? In a nutshell, when you lease a car, you are only making payments on the depreciation of the vehicle instead of its entire price. For example, if you lease a $40,000 vehicle for 3 years and the projected resale at the end of the lease is $30,000, your payments are only based on the $10,000 difference vs. financing the entire $40,000 if you choose to buy it outright. Use our lease calculator to help determine what your monthly payments may be. When you’re ready, contact our finance department and speak with one of our experts. Serving areas like Annandale, Alexandria Volkswagen is ready to help you choose the next vehicle you’ll drive around Washington DC. We have plenty of new Volkswagen specials ready to go, and our friendly and knowledgeable sales team will answer any questions you have about VW roadside assistance or the Car-Net feature. We can even serve as your guide in the local community. Check out our top 3 restaurants in Old Town Alexandria today! 0 comment(s) so far on Should I Lease a Car?